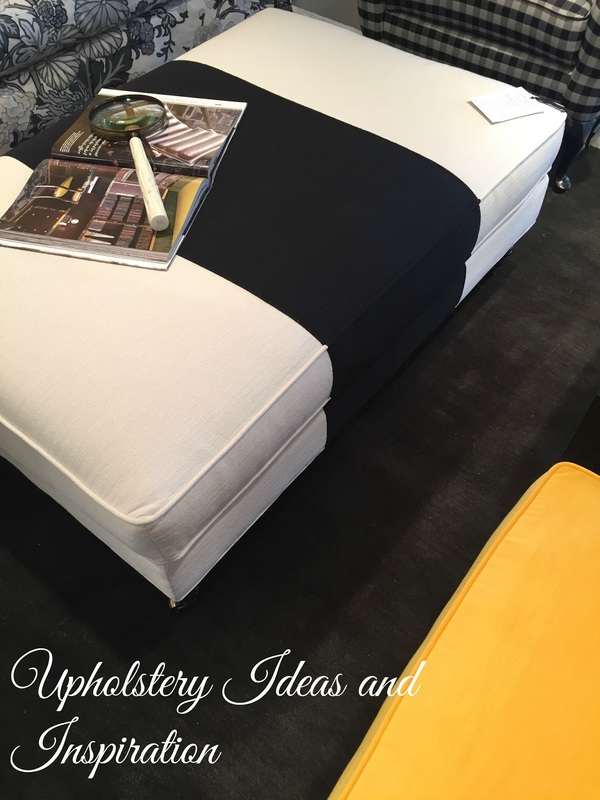 Dwell by Cheryl: "Upholstery Ideas and Inspiration"
It's no surprise to anyone that I love upholstered furniture. I'm addicted to it really. 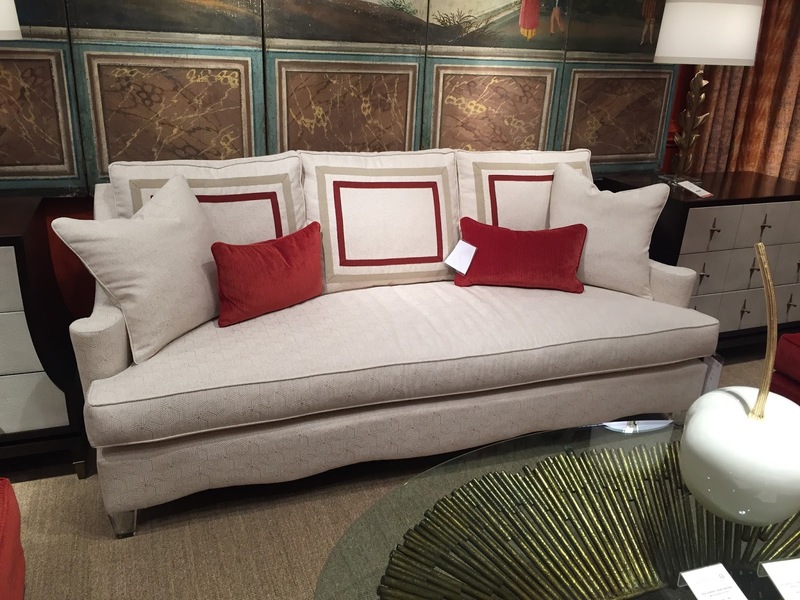 Sometimes I wish I had a larger home just so I could add more furniture, mainly upholstered pieces. 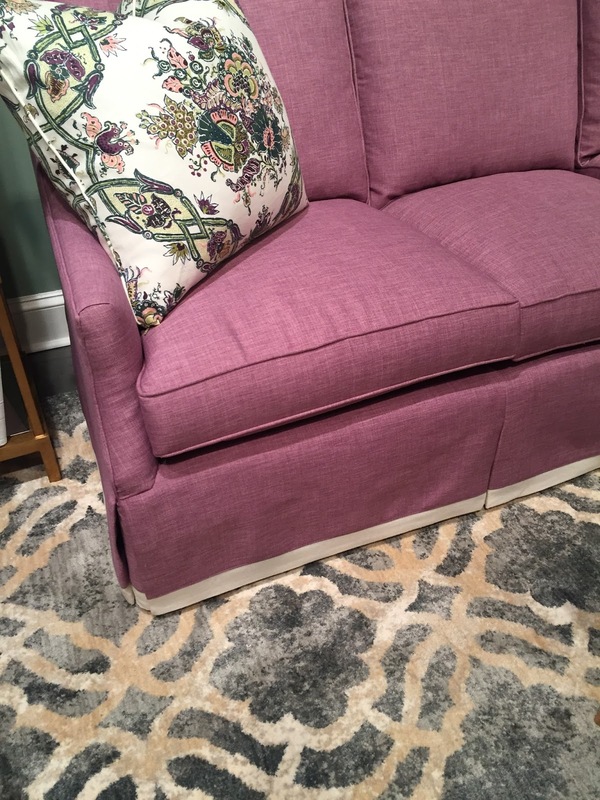 So when I go to High Point Market twice each year, I love keeping a watchful eye out for new ideas for giving vintage upholstery a modern lift. Thankfully, this year's market didn't disappoint in that area. 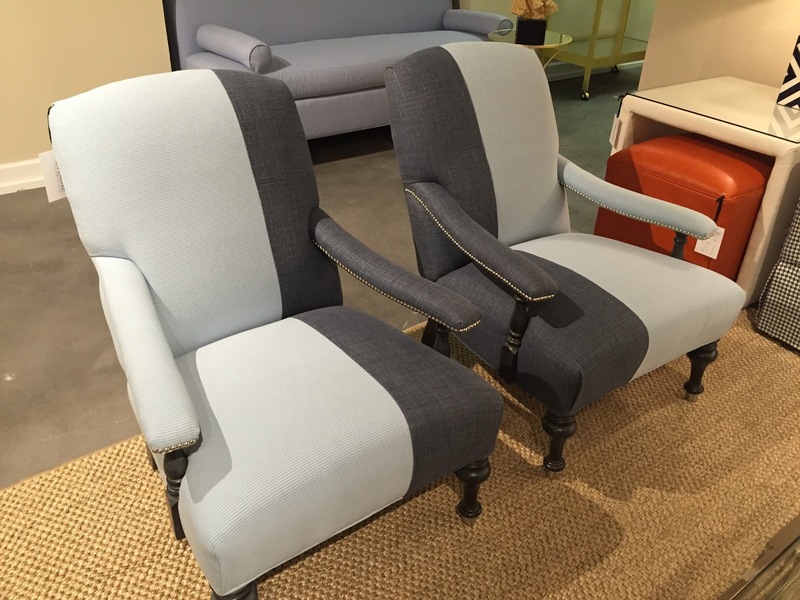 Let's just say I kept my upholsterer on speed dial sending over great ideas for how we might upgrade vintage pieces. You likely recall when we added this racing stripe to a pair of classic vintage wing backs. How great would it be on a large ottoman. NOTED! This waterfall skirt was just lovely. Especially with the contrasting border. 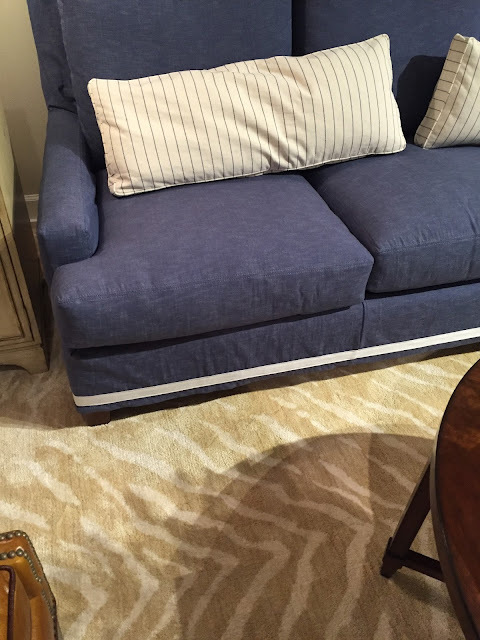 Isn't it amazing how something a simple as the white trim can up the cool factor on this simple navy sofa. Skirts are often great options for vintage upholstery makeovers because so many vintage pieces tend to have a lower seat height than what is standard today. Skirting allows you to conceal taller legs which can definitely work in your favor. I'm a sucker for contrast piping and this example is an example of why. I am totally obsessed with this idea. So good! Not sure what type of chair I'd like this on, but I LOVE, LOVE, LOVE it! I spotted a number of sofas with bordered cushions. 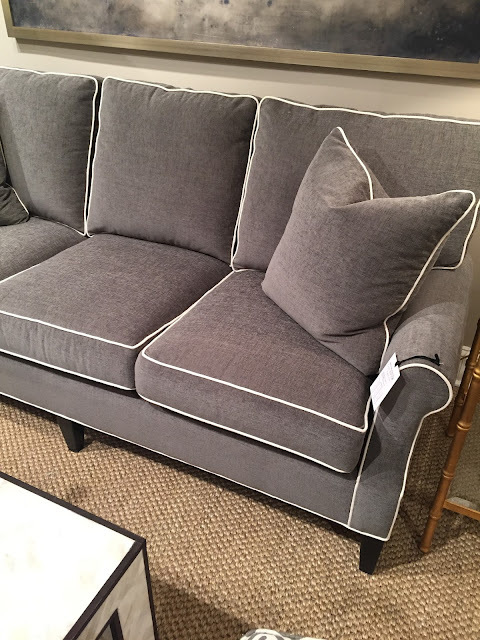 It's a great way to create a designer look and could easily be accomplished even if reupholstering isn't in the plan. Lastly, I think this is a great idea for what can be done with small remnant pieces of fabric. Lord knows I have more than a few pieces of leftover velvet. 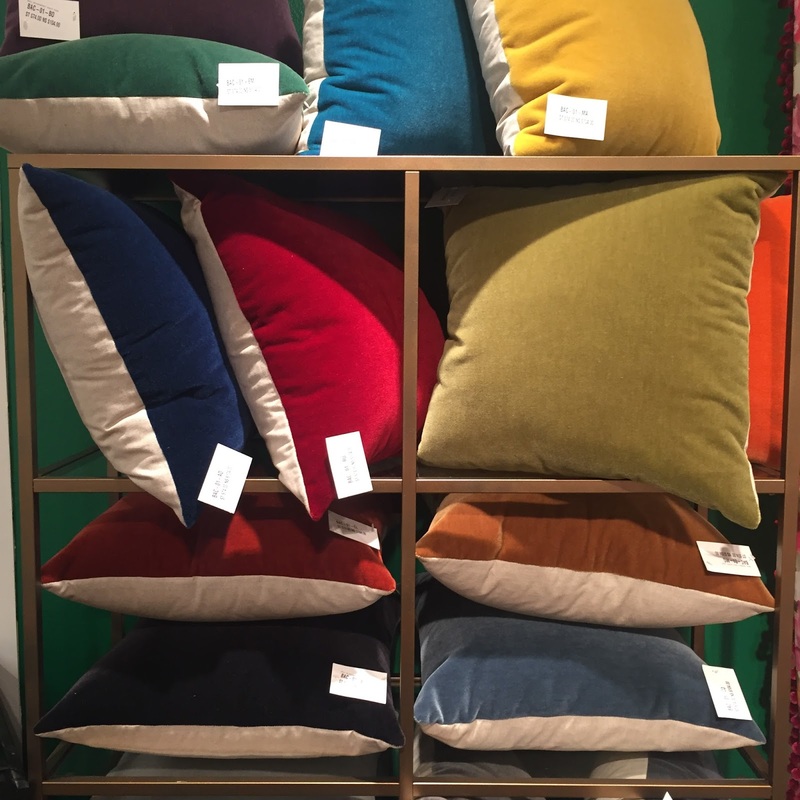 These vibrant colors would pop in almost any space and could be changed out seasonally to create a new look. I'll be back soon with a recap from market, but for now just thought I'd pop in to share a few of the great ideas for future upholstery projects. I can hardly wait to get started on my next one.